AYUDH is an international youth movement, dedicated to empowering young people to contribute to a peaceful and sustainable world and become compassionate leaders with a sense of tolerance, solidarity and global responsibility. AYUDH is a Sanskrit term meaning ‘peace’, which is symbolized by the dove in our logo. AYUDH also stands for ‘Amma’s Youth for Unity, Diversity and Humanity’. AYUDH forms the youth wing of Embracing the World ® – a global network of charitable activities guided by Amma which is active in over 40 countries around the world. 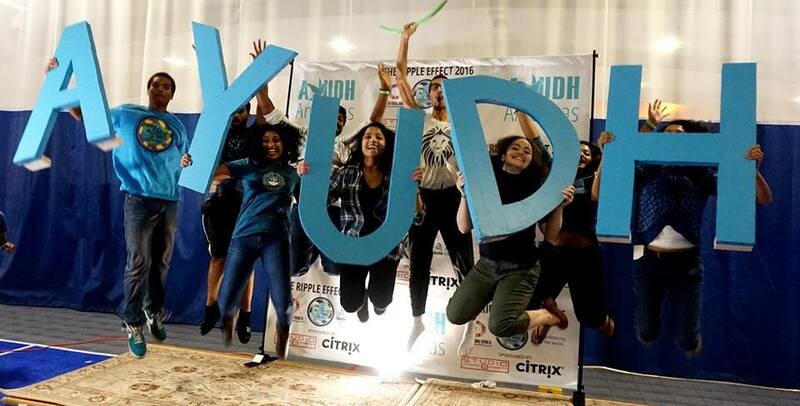 AYUDH holds the unique opportunity to create change locally, yet on a massive scale. With more than 10 chapters spanning the Americas, projects are tailored to meet the needs of each community. This allows us to provide effective and targeted service.